Artisan Metal Shop is a small family and Veteran-owned company. We have been in business online since 2003 and in the metal fabrication business since 1992. 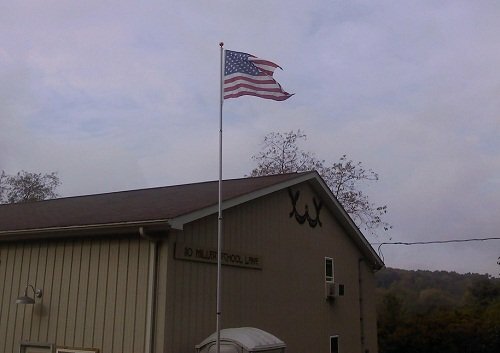 We are located in Western Pennsylvania where we have a small team of local craftsmen and women. We are all very proud of the products we make here in PA and always aim to give the best customer service. You can be sure when you order from us, you will receive a quality product, made right here in USA. Thanks for your support! Our workshop is located in West Sunbury, in Western Pennsylvania, approx 50 miles north of Pittsburgh. We don't have a retail store but if you are local or passing through, you are welcome to pick up your order. Many of our items are made to order so be aware that might not be ready until we tell you (7 to 10 days after you order).